– In 2026, the demand for insurance agents is expected to have grown by 10%. – Minnesota, Oregon, and Wyoming are the only states with a passing rate of 75% or higher on the Life & Health Insurance exam. – No formal education or experience is required to become a licensed life and health insurance agent. All that is required is a high school diploma or its equivalent. Take our Life & Health practice test to be prepared for this exam. If you’re interested in selling life or health insurance, this may be a good time to get the licensing that you need. You can get that license by taking the Life and Health Insurance exam in your state. Those who pass have a solid job outlook, according to the Bureau of Labor statistics. 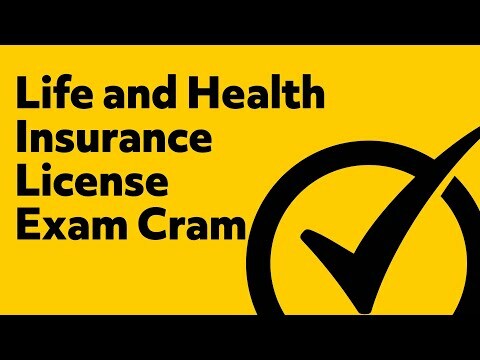 Are all Life and Health Insurance exams the same? No. Tests vary by state. It’s important to check the regulations in your area. There are no specific education and degree requirements, so that means a high school diploma or its equivalent is fine. However, the Bureau of Labor Statistics says about one-third of all agents have college degrees. Since insurance agents determine the needs of their clients, excellent analytical skills are a big plus. Insurance agents regularly talk with clients, you’ll need to be a very skilled communicator. You need to be self-confident and be willing to take the initiative since you’ll be seeking out new clients. What type of preparation is required to take the Life and Health Insurance Exam? You should get a high-quality, professional study guide, like the one here. A study guide like the one we provide is a key to success. What does the application process for the test entail? In general, you’ll have to provide background information, like employment history, and personal information, such as a picture ID. Some states have other requirements, such as requiring a background and fingerprint check. How many questions are on the test? How long does it take? The number of questions on the test, the format, and the length of time it takes all vary by state. What types of questions can I expect with taking the Life and Health Insurance Exam? While the tests and requirements vary by state, the overall topics are about the same. You will be tested in topics that include HMOs (health maintenance organizations), and health insurance tax issues; annuities and annuity policy tax issues; life insurance plans and general knowledge about the subject; health insurance, dental coverage, medical plans, and more. What does it cost to take the test? Fees vary by state, so please check in your area. Again, that varies by state. Some states’ tests are 150 questions long; some are shorter. Some require a pre-test, and some don’t. Please check in your area. While the day of the test will vary by state, there are some similarities. You’ll need to present a photo ID, most likely a government-issued one. You may be required to present your test confirmation to ensure you’re taking it at the right day, time, and location. If there were pre-test requirements, you may be asked to provide proof that you successfully completed them. What’s not allowed in the room when I take the Life and Health Insurance Exam? In general, no electronics — cell phones, tablets, watches, and the like — are prohibited and will have to be locked in a secure are outside of the test room. Certain articles of clothing may also be prohibited. In short, it’s a good idea not to bring anything of value to the testing center. 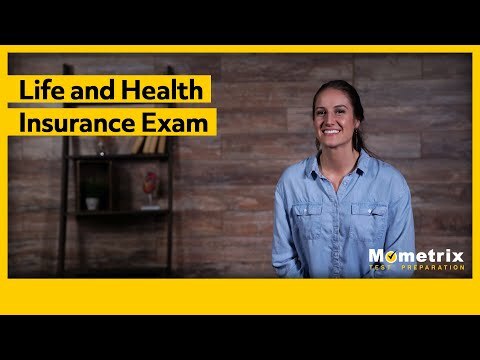 What is the Life and Health Insurance Exam? Depending on the state, you could know as soon as the test is over. So how to you get through this? What’s the best way to prepare? Where can I find a best-in-class study guide? Mometrix has a number of tools that can help you study for the Life & Health Exam. Our comprehensive study guide has been researched by a team of professionals with years of experience helping educators prepare for exams just like this one. The guide provides specifics on how to tackle the questions you’ll be asked. And, if you’re worried at all about buying the guide, don’t worry. We offer a 100% risk-free, money-back guarantee. Our large, easy-to-read flashcards help you learn through repetition, and the questions cover every content area of the exam. Not only that, the cards make it easy for a friend or relative to help quiz you on the questions you’ll need to know to pass the Life & Health Exam. Mometrix Academy is a completely free resource provided by Mometrix Test Preparation. If you find benefit from our efforts here, check out our premium quality Life & Health study guide to take your studying to the next level. Just click the Life & Health study guide link below. Your purchase also helps us make even more great, free content for test-takers. Our customers love the tutorial videos from Mometrix Academy that we have incorporated into our Life and Health test study guide. The Life and Health study guide reviews below are examples of customer experiences. This book is the best way to study . that conventional 500 page book will drive you crazy. When you have read the first 100 pages you, won’t remember the first thing you read. This study guide is easy to understand and only 82 pages. What a difference! This book saved my life. Since my friend gave me his property & casualty exam study guide exam book, I said “wow” this book was awesome because everything that I need is all in the book, it helped me a lot. So, I decided to buy the Life & Health Exam Study Guide for my next license exam. I can tell this book is very useful, understandable. This is a very very helpful book. I am fairly new to life and health insurance field. This is helping me understand and preparing me for new product analyst position in our health plan! As well preparation for my license. I would recommend this book. I love this because it excludes all the fluff. It is concise and to the point so there is no wasted time digging through hundreds of pages with useless information. Wish more were like this! This book is very informative. I like the fact gives scenario questions for test and reason why once answer is right over the wrong ones. I like the fact that it is also focuses on test anxiety. Great tool to study for the exam. I am renewing my license and there are great practice exams. The text is concise and to the point. Great investment and resource guide. So far, I’ve seen how this product is beneficial for those who are like me and struggle with information overload. This product synthesizes the information to make it more palatable and easier to digest. Furthermore, I learn from trial and error – so when I took the practice test I was able to go back and relearn a certain topic if I didn’t retain it well. This product also assists with bench-marking. You can easily learn topics – go to a certain category that you need to be more familiar with and study it. This product is also great when paired with another book for more referencing. I have learned so much from this study guide. It tells me what I need to know on the test. I took the test once already and I did not study this material completely, but I did notice that it had a lot of material that I needed to study from the guide. I am now studying from the guide alone and I am so sure I will pass this time.